Until the Nazi Holocaust, much of the Orthodoxy was antagonistic to the Zionist aspiration of establishing a national home for the Jewish people in the Land of Israel. In large measure this opposition was less to Zionism itself than to the Zionists, for most of the Zionist activists were secularists who rejected the traditional authority of the Rabbis in favour of "foreign" ideologies such as socialism and nationalism. A Scene from the "Old Yishuv"
lived unproductively off the donations of Diaspora Jews, whereas the Zionist settlers were calling for the Jews to be self-supporting and to involve themselves in economically productive manual labour. As a theological justification for their position, they cite various Rabbinic traditions that forbid the hastening of the Redemption. The most intransigent and extreme of the Orthodox anti-Zionist parties is the Naturei Karta movement, a small but vocal organization that broke off from Aguddat Israel in 1935 because of their insistence on total separation from the Zionist Jewish community in Jerusalem. The name Naturei Karta, Aramaic for "guardians of the city," was first used in 1938, and alludes to a Talmudic statement that religious scholars, not soldiers, are the true guardians of a city. Naturei Karta have tried as much as possible to avoid using the facilities of the Israeli government, including courts, identity cards, schools, currency and public utilities. They have been outspoken in propagandizing against the legitimacy of the Jewish state. They have gone so far as to negotiate privately with hostile Arab states and leaders. The actual Naturei Karta movement is a tiny one, though very vocal and adept at capturing media headlines. 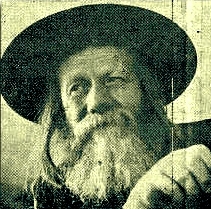 Rabbi Amram Blau was Natorei Karta's best-known spokesman. There are in addition to the official Naturei Karta membership (whose origins are to be found primarily in the Lithuanian and German Misnagdic traditions), other Orthodox streams who oppose Zionism on similar religious grounds. Most visible among these has been the Satmar Hasidic sect led by the Teitelbaum dynasty. In more recent years, statements in a similar spirit have been expressed by some exponents of the Sefaradic "ultra-Orthodox" faction associated with the Israeli "Shas" party.